A recent study by the Joint Center for Housing Studies of Harvard University showed that higher-priced homes are less susceptible to bubbles than are lower-priced homes. Higher-priced homes don't appreciate as quickly in a run-up, but neither do they fall as quickly in a downturn. According to analysis of Standand & Poor's / Case-Shiller home price data, prices of lower end homes in Atlanta fell by nearly 50% from the 2007 peak to December 2010. The drop for higher-end homes fell by less than half that percentage. Of course, this is a macro look at the entire Atlanta metro area, in which "low tier" homes were qualified as those under about $122k and "high tier" homes were those above approximately $221k. You might extrapolate from this data that even higher-tier homes in desirable neighborhoods may have lost even less value since the 2007 peak. You'd be right. A quick check of the sought-after Intown Atlanta neighborhood of Morningside shows an average sale price of $668,952 in 2007. 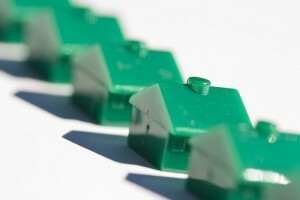 The average sale price in 2010 was $582,339, a 12.9% decrease from the peak. That's certainly a lot better than the national average. Checking the Buckhead neighborhood of Chastain Park, we see even more stable prices. The average sale in 2007 was $1,052,769 while in 2010 it was $1,005,636, a reduction of a mere 4.5%. (Source: FMLS) Whether these neighborhoods are in your price range or not, the principle remains the same all along the scale. So, the old adage remains: it's better to buy a so-so house in a great neighborhood than to buy a great house in a so-so neighborhood. And now we have the numbers to back that up.